Check out the Trading Post on Doobert.com! Did you know that Doobert has a Trading Post available to every organization on Doobert? For those of you that may already know about the Trading Post consider this a refresher, for those who don’t we’re happy to share a little more about this really cool function within Doobert! Doobert knows that budgets are tight these days, that’s why the Trading Post exists. You can list specific items your organization is in need of, such as blankets, cat food or leashes and organizations will be able to search and help out if possible. Or maybe you have more than you need of a certain product, say dog treats or food bowls that you can part ways with. 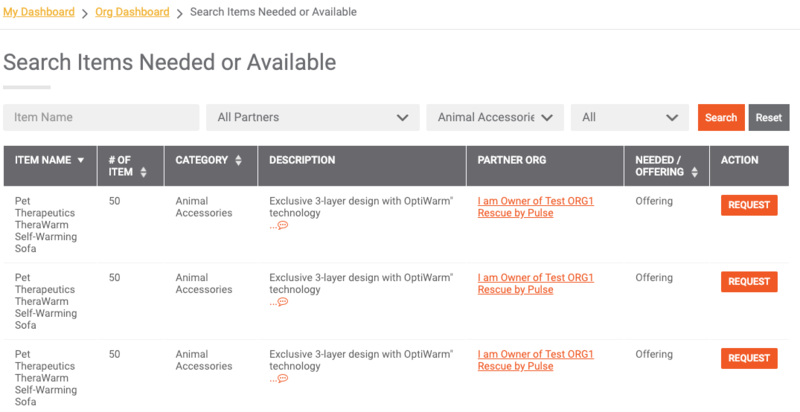 Now you can list them in Doobert and other organizations can search and ask for help! 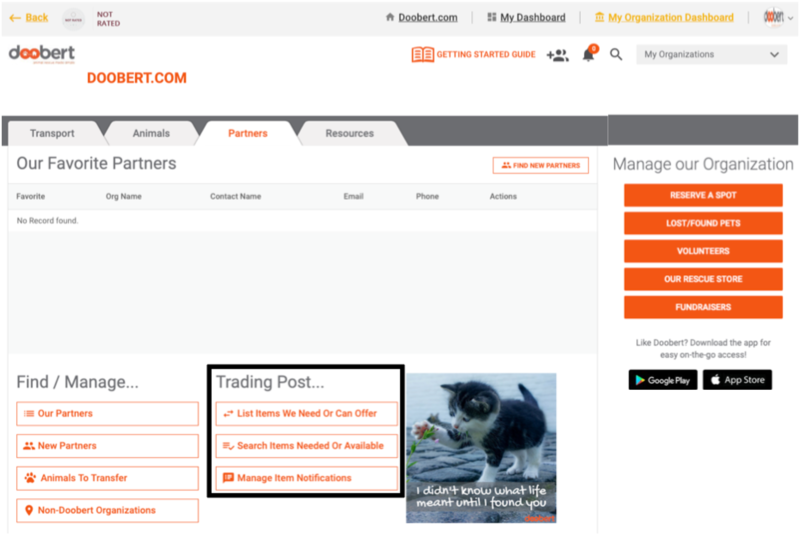 Trading Post Notifications – of course Doobert has that option! Don’t forget to set your notifications to be alerted when another organization adds items that match your requests. Just turn on the notification and enter the miles from your organization zip code and select the categories which you are looking for and you’re ready to go! That’s it for this week’s tip. Got a question on Doobert? Got a suggestion for a tip we should share? Let us know at [email protected] or visit us at Doobert.com!